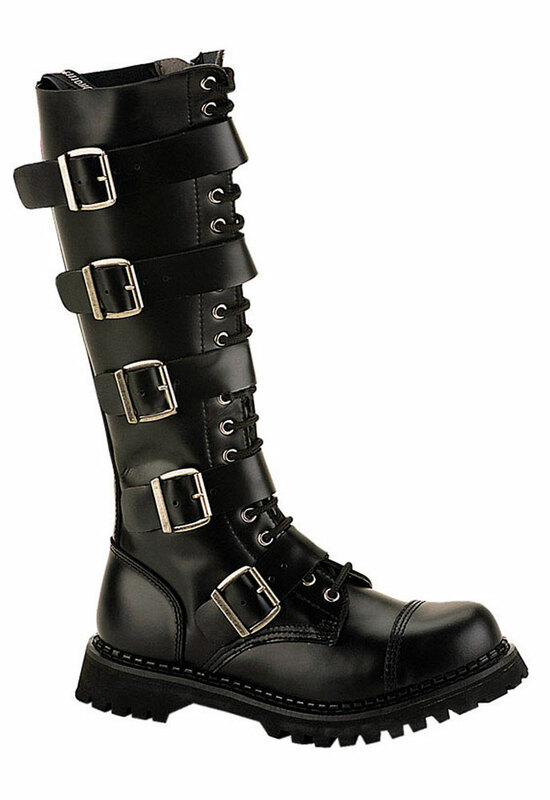 The Riot-20 is a 20 eyelet 5 strap steel toe black leather knee high combat boot with 1 1/2 inch heel. If you are like us and remember the days of dreading spending a half hour lacing up your 20 eyelet boots fear not. 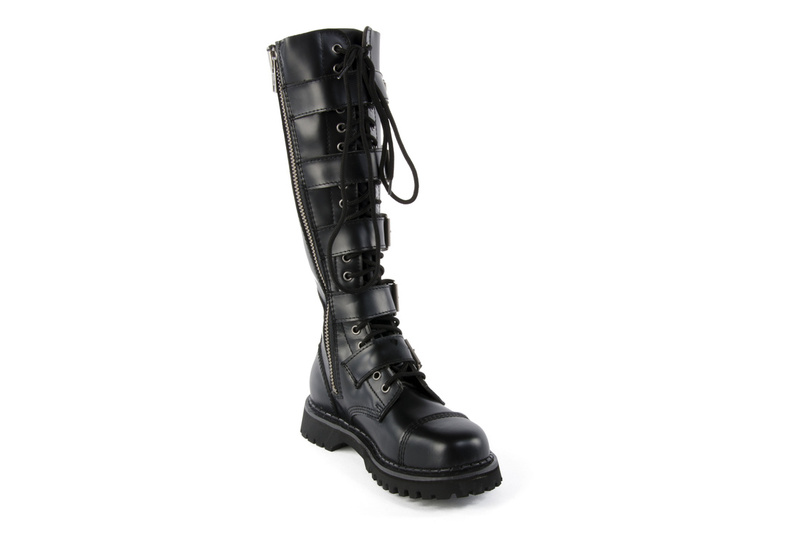 These boots features a heavy duty full inner zipper for easy on and off. Lace them once and that's the last time. Which, makes these 20 eyelet boots great for when you are on the the go or when you have to go through airport security. Do the boot shafts expand (wide enough tongue) without marring look? I wear a US W-7 and my calf circumference at most muscular site is 36.5 cm (14.25”). Answered by Blue on Wednesday 25 October, 2017. Are the riot-20 boots, knee high? Yes, the Riot-20 comes up just below the knee. Answered by Piper on Tuesday 28 August, 2018. The Riot-20 are made from real leather. Answered by Blue on Thursday 08 March, 2018. I really like these boots I just got. There knee high just like I like them.Plan to get another pair of boots similar to those i got.That's all. 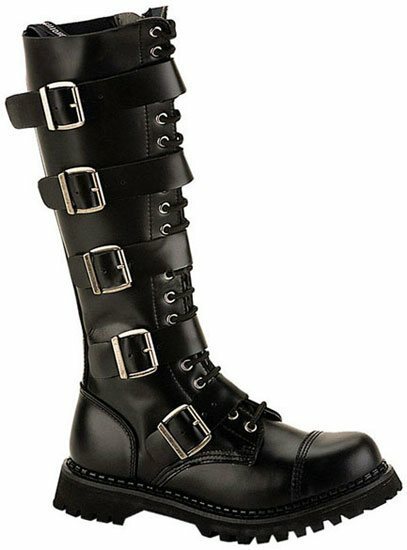 By the way, I highly recommend these to those who like tall leather boots with zippers on them! From the day I put them on I have received compliments left and right about my boots. They even earned the nickname, Skull Crushers. I love them!! I did have to return to exchange them for a larger size for they are not the same size as my other shoes. I highly recommend them though! 13 people found this usefull. Was this review helpful to you?